Recently on JAMF Nation there was a discussion about the Adobe Flash Player Distribution site going away. This site is where admins can go to get a copy of Flash that can then be legally distributed to their fleet of machines. The discussion started out to be about the change Adobe recently made to the URL for this site, but quickly turned to a discussion around distribution of Flash via Casper. While I have signed up for the Adobe distribution site, I currently utilize a PKG file that comes from AutoPKGr (I replaced my Jenkins install with AutoPKGr last year sometime). Utilizing AutoPKGr makes my life easier, because I do not have to do anything except update my policy to replace the actual PKG file. I’m not going to go into setting up AutoPKGr for use with Casper, there have been plenty of discussions on that, but rather I am going to list out my procedures for processing Flash upgrades. I typically find out that there is a Flash upgrade from JAMF Nation. Someone typically posts that there is a Flash update almost immediately upon release. Once I’ve verified that the update has been uploaded to my JSS by AutoPKGr, I will go update my policy, changing out the PKG file. As you will see, the policy is set to trigger on “Recurring Check-In” because I don’t care if a web browser is open or not. Flash can be installed while browsers are open, the users just have to restart the browsers that are open after the update. We’ll handle letting them know via a CocoaDialog script. There are a few pre-requisite items we need to have in place for this process to work. First, we need to have a way to grab the Flash version off of the machines in our fleet. Second, we need to have a Smart Group that will capture all of the machines that are out of spec. This will allow us to scope our policy to those machines. 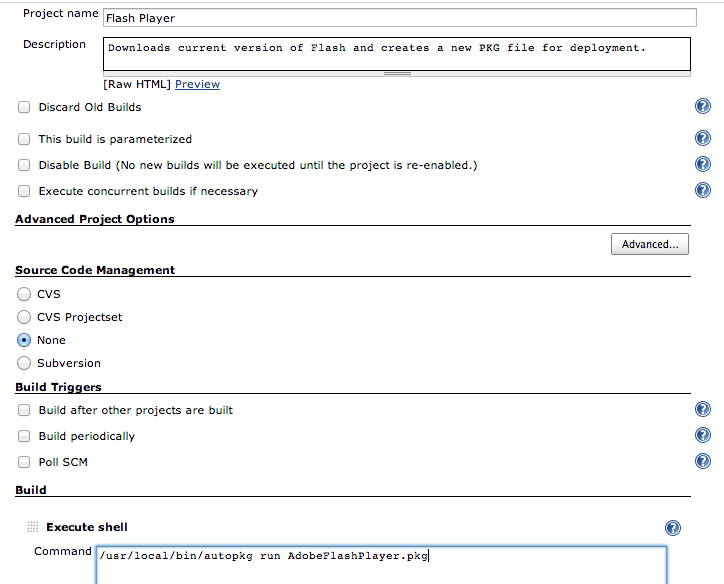 I utilize an Extension Attribute to grab the version of Flash and store it in the database. While it can be argued that utilizing an EA to grab the version is not efficient, since the EA will run every time a Recon runs, there really isn’t another reliable method for grabbing the version. That’s pretty straight forward. Now that we have the version, we can build our Smart Group. As you can see, just pick your EA name out of the list of criteria to search for, and enter the version you are searching for using the “is not” operator. Now that we’ve got our Smart Group collecting machines that are out of date, we can build our policy to install the update. We will name our policy “Update Flash Player” and place it in whichever category makes sense to your deployment of Casper. I have my update policy set to run at “Recurring Check-in”, which means that machines will update as soon as they contact the JSS. The frequency is set to “Once per computer”, since we only need it to run one time. Now that we’ve added that script to our policy, we will add a line to the Files & Processes tab to set Flash to not auto update. Finally, Flush All on the policy logs so everyone in the Smart Group gets the update. I have been utilizing this method for updating Flash for well over a year now, and I have not had any troubles at all. I hope this quick article has helped you out. Every year as October gets closer, I get anxious. 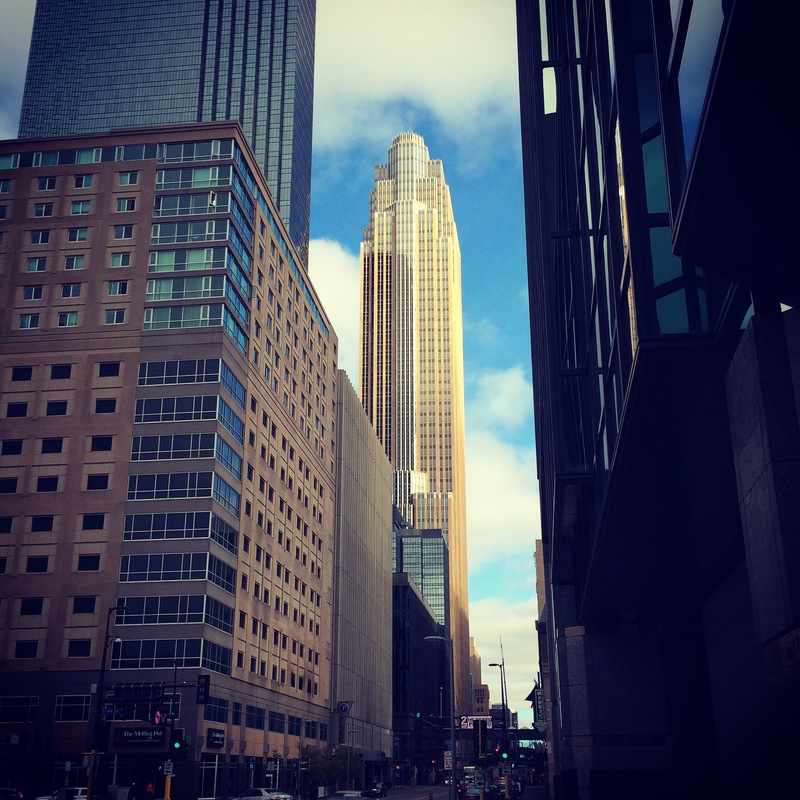 I know that at some point, usually toward the end of the month, I will be traveling up to Minneapolis for the JAMF Nation User Conference, JNUC. The conference is located at the Guthrie Theater in downtown, in the Mill district of Minneapolis, right on the Mississippi river. It’s one of my favorite locations to go to. 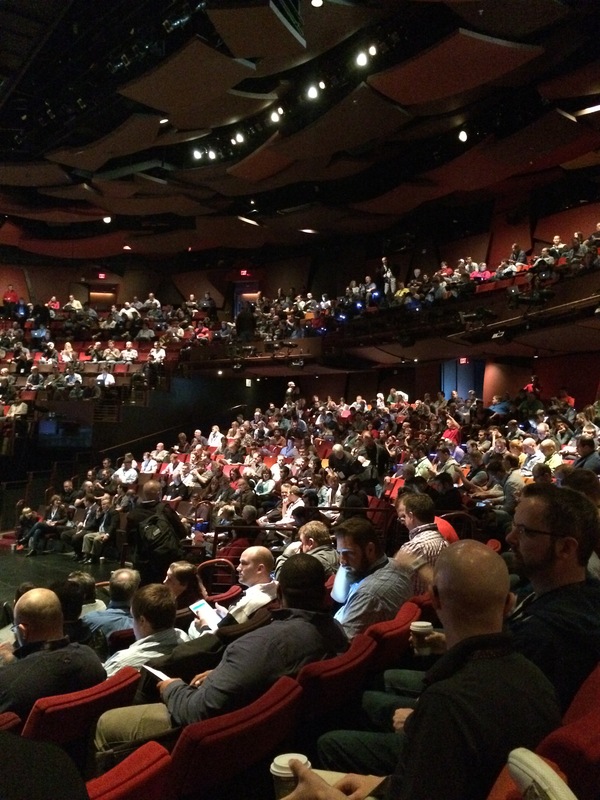 The JNUC is one of my favorite conferences to attend. Not just for the great content, but for the relationships that get formed and strengthened there. There are friends at JNUC that I’ve known for well over 10 years now, just from attending different conferences in the past. It’s great to catch up with these friends. This year was also special because I was presenting there. I had the opportunity to present on imaging in a session titled “Unwrap the Imaging Enigma”. It was a wonderful experience, and one that I will repeat again. Giving back to the community by presenting is important for any admin. If you’re interested in the slides, you can find them on my GitHub repository. As I work on upgrading to 9.2, I am doing a clean installation of the JSS and not importing my previous database. In the process I am only taking over packages, policies, scripts, etc, that I want on the new server. So I thought I would do a quick post on some of my favorite Extension Attributes and what I use them for. And so on. Pretty easy to use this to grab version information from different apps. These are only a few of the Extension Attributes I’ve moved over to the new server. JAMF did a good job of including a lot of pre-built EAs in version 9 of Casper. Make sure to check them out and implement the ones that you need.